We are at the beginnings of The Great Transition and this is what you need to know. I recently had a conversation with Duane Elgin (duaneelgin.com) from the movie Thrive. 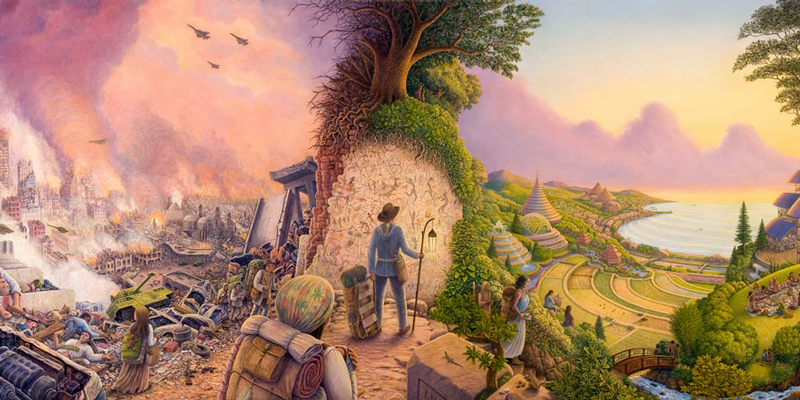 For over 30 years he has been writing and speaking about The Great Transition, which is a global rites of passage for Humanity from an individualistic, brain-centric world into a community based, heart-centered reality. Right now we are starting the most important, and drastic curve of this transition which is peaking during these next three year of 2015, 2016, and 2017. Imagine we are on a steep incline to the top and that incline is getting steeper as we head into 2016. Around October of 2016 we start the decline into 2017 and arrive in a completely new reality. One that is heart centered and community based. Things will be very different and they way we see ourselves and interact (socially, politically, and economically) as humans will change. 2015 is an 8 year. This a year to take action! The 8 energy is all about energy, motion, and resources…those things that are in your heart waiting to become real need to be respected now. Put the things in motion now that you want to be realized on the other end of this transition – in 2017 . Seriously, do not wait until next year. 2016 is a 9 year, a global year for letting go and self mastery, not a time to create the momentum around new ideas. The new ideas will become more valuable to you in 2017, which is a global year of new beginnings and letting your soul shine – booom! So now you know, but what do you do? This transition time is a great time to really go deep within yourself and find out who you truly are. You will have the energy or the 9 in 2016 to help you let go of all the things that no longer serve you…be grateful and accepting of your past and the challenges you may face. They are only helping you get more on what you want to create in 2017. This time of the Great Transition is really powerful for humanity and it can be an amazing experience, free from fear and challenges, if you really understand and develop that core sense of self. I really desire for everyone to be the best expression of their highest potential. 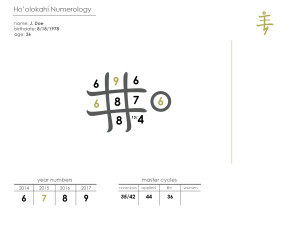 And in my research and experience the Ho’olokahi numerology is one of the most powerful tools for understanding this. Seriously, this is probably the best thing you can give yourself if you are uncertain about the future, where you are going and where your personal story fits in. I would be honored to help. I have been using this information for years in my numerology consultations, but this is the first time I am publicly sharing these insights into the relationship between your birthdate numerology and money. Below is a list of your birth month and the main challenging belief that rests in your subconscious about money. I also provide tools to remedy this belief so you can discover your true value and have the wealth you desire. Cultivating a prosperous mind is not an easy task for many of us. Maybe you were taught that “money doesn’t grow on trees”, or that “greedy people have money.” And you have manifested these thoughts in your life to reaffirm the negative money mantras you were taught. However, developing a healthy relationship with money and a prosperous mind is possible and the first step is actually really easy. You simply start to fertilize your mind garden with positive thoughts about money. These thoughts start to plant seeds in the subconscious mind that open you up to new possibilities for abundance in your life. Once you start to think yourself differently, you start to see the world differently – you realize that abundance is all around us. I have been researching prosperity and money psychology for several years now. During my research I have discovered how our birthdate numerology affects our relationship to money. Below are the results of my findings. PROBLEM: January birthdates tend to be so independent that they fail to see the value of relationships in life. They flip their mind in the opposite direction and become co-dependent or needy. The same thing happens to their relationship to money in their life; sometime they feel like they don’t need money, and then they think they cannot live without it. This is a confusing money psychology. Overall they tend to become indifferent towards money. They also have a tendency to feel like they do not DESERVE money or wealth in their life. They feel small and insecure in general and continually give away their power in life, because they feel like they don’t deserve it and want to give it to someone that they think does. SOLUTION: Mantras work really well for the January birthdate because they have a tendency to use their mind to find solutions, especially when life is challenging. Overtime they may be implanting negative money thoughts in the subconscious mind. Use the following mantras daily for 63 days can help replace the negative money thoughts with positive subconscious money thoughts. PROBLEM: February birthdates tend to focus their life around the need to feel completed in life by something external. Without money they feel like their life is incomplete. However, the 2 has a trick up their sleeve. They don’t have to get the money themselves, rather they can find a relationship with someone or something outside the self that they can acquire money from. This significant other or other thing may cause a loss of money consciousness, because they no longer need to focus on money as they have a source for it outside the self. However, when that source is gone, the relationship ends, they lose their access to money and they feel incomplete. PROBLEM: March and December birthdates are both 3. The 3 is all about having fun and spending money can become another fun thing to do. They tend to be carefree and not take money matters seriously; they let it just flow in and out of their life. This flow can be healthy or detrimental depending on their money psychology. Because the 3 tends to be a bit wishy-washy they may get taken advantage of when it comes to money and value exchange. They need to establish their value in life and then learn how to stick to it and not let others take advantage of their time and energy. PROBLEM: April birthdays tend to be judgmental and critical of those that have more money then them. They may fall into the trap of thinking that people with money are greedy or that people with money have done harm or wrong in order to have riches. They may also may not understand the logic of how money works or they might have failed to establish a plan to acquiring wealth in their life. PROBLEM: May birthdates have a lack of motivation, discipline, and energy. When they get money they may tend to hoard it so they can work less in the future. Or they may lack the motivation and persistence necessary to have money and wealth in their life. Also, they may think that they are already the movie star, the performer, and people should naturally just give them money for who they are. Life is their stage and they are always performing, performers get paid. PROBLEM: June birthdates tend to be people of the heart and home. They are people of prayer. They may drop out of school or discontinue things that require alot of mental thought. They also tend to over-commit in life because they really want to help, but they usually cannot follow through on their commitments. To them money and prosperity is all about feeling. If they feel good about money then they have it, but if they feel bad about money then they don’t. They also need to learn how to live a prayer, and not just say a prayer, when asking the divine for prosperity in their life. SOLUTION: The 6 needs to learn how to make only commitments that they can keep, especially when it comes to issues of money. Start by being very conscious of your current commitments. You have to heal your own money issues before helping others heal. They also need to learn how to live their prayers – don’t just pray for things, live them into reality while holding the prayer in the heart. Finally, the 6 needs to develop a powerful and positive feeling about money. Do a meditation while holding money over the heart and then feel all the good things that money can bring into life. Imagine money and prosperity as a great source for healing in your life and in the lives of the people around you. PROBLEM: July birthdates have a tendency to not feel safe and secure in life and also want to know how things work. They may shy away from talking about money and want to keep their thoughts and feelings about money to themselves. Or they may want to build a fortress to hid their money away in, even if it is only a small treasure. They are also cautious in apply idea when they don’t know how they work. This can limit their ability to acquire wealth if they have not taken the time to understand the concepts of the quality and the quantity of money. PROBLEM: August birthdates tend to abuse power and have issues with anger. They may be frustrated with their money situation and take that frustration out on others in their life. They may think they have to acquire money by using power and force to get it, or by controlling other people. PROBLEM: September birthdates tend to be naive. They get taken advantage of because they think everyone is a good humanitarian just like them. They also have an issue of letting go of money too easily, it just seems to slip away. Maybe they have not even taken the time to know what money is or what it means both on the superficial and deep levels. PROBLEM: October birthdates tend to feel unworthy of money and wealth. This is interesting because the 10 is the number of the king and queen. However, they are challenged by self worth; why am I worthy of being royalty? They may feel small or insignificant in life, like the 1. Sometimes they just expect the money to be their or given to them without efforts, as if they really are the king or queen. They may also lack the courage to take the actions necessary to acquire the money they desire. PROBLEM: The November birthdate tends to have issue with god and spirit (whatever that means to them). They are angry that they have to do this human thing again and live within the limits of human understanding of prosperity and money. They think the world imperfect because all our needs are not met by default, and without effort. They expect the riches of heaven and ignore the realities of earth. 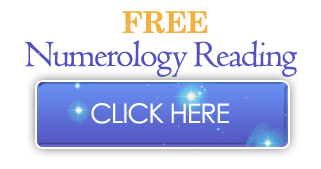 Free Birthdate Numerology…Is it Worth It? The reality is that the free information leads you down the wrong path of understanding. The cookie cutter, machine generated numerology does not take into account the intricate relationships between the numbers in a chart. They usually provide you with information about one or two numbers, for example the soul number, purpose/path/destiny number, or lesson-karma number, to get you excited. Maybe they give you the quick fix that you need. Or maybe they are some fun thing to “try”. Most “Free Birthdate Numerology” online calculators are shallow at best. You think you understand something about yourself by using them, but a surface understanding blinds you to going deeper and exploring more about your true self. However, if you go deeper you will discover something quite different. It is the relationship of the numbers (over 10 of them), and the in-between the lines information, that illuminates the deeper psychology and purpose of an individual. Without the ability to understand and interpret the relationship of the numbers in the charts, the free, machine systems cannot tell you how a single number aids you on your purpose path, how to overcome challenges, how best to live your purpose, and how to utilize the information to create meaning. This is also a problem with free astrology. Must people know their sun sign, maybe even their rising and moon signs, but that is just the surface. There is so much more to the art and science of numerology, and astrology, when you look deeper. A skilled and experienced practitioner knows how to elucidate the hidden information and accurately interpret it so that it can be useful in life. And they can teach you how to consult your chart, so you can continually utilize the information in your birthdate as it changes over time. Numbers have different influences depending on what age you are, and which master cycles are active, or where you are stuck in life – a machine is not programed to understand the information in these intricate and subtle dynamics. I encourage you not to settle for shallow. Go deep in the art and science of these ancient systems and illuminate their true value in your life, and then help others do the same. Or not. If you are interested in going deeper then sign up for a Ho’olokahi Numerology Consultation of your own. I am sure you have already heard that 2015 is an 8 Year. But there is much more to it then what you think. It is the energy of spiritual and financial abundance, a year to take action and get things down. What you do and accomplish in this year will set the tone for the next two years as we move into 2016 (a 9 year) and 2017 (a 10 year). But there is a potential for burnout this year. Read the rest of this article to discover how to maximize your 2015, ho to harmonize your personal year number with the 8 energy of 2015, and how to avoid burnout as you move into the completion cycle of 2016. I recently did a Ho’olokahi Numerology Consultation for three gentlemen: a police officer from the Midwest, a business owner, who started a flooring company, and a stay at home father. They were visiting Hawaii to train martial arts with a local Kahuna (wise teacher) who happened to be a friend of mine. The Kahuna recommended to the gentlemen that they have their birthdate numerology read by me. They were all very skeptical of the thought that the numbers in their birthdate could provide accurate and valuable information about their life and purpose. It reminded me when I was first introduced to this birthdate numerology system (Ho’olokahi Numerology) while I was in medical school. The thought of numbers having more than quantitative meaning did not make sense to my scientific brain. I am a trained scientist, and published medical researcher, but I am also interested in the power of story and new ways to understand the human experience. I am sure you have had something in your life that you were at first skeptical of, but you gave it a chance. You started to study it and experience what it had to offer. Over time you found value in it and it became a powerful tool in your life. 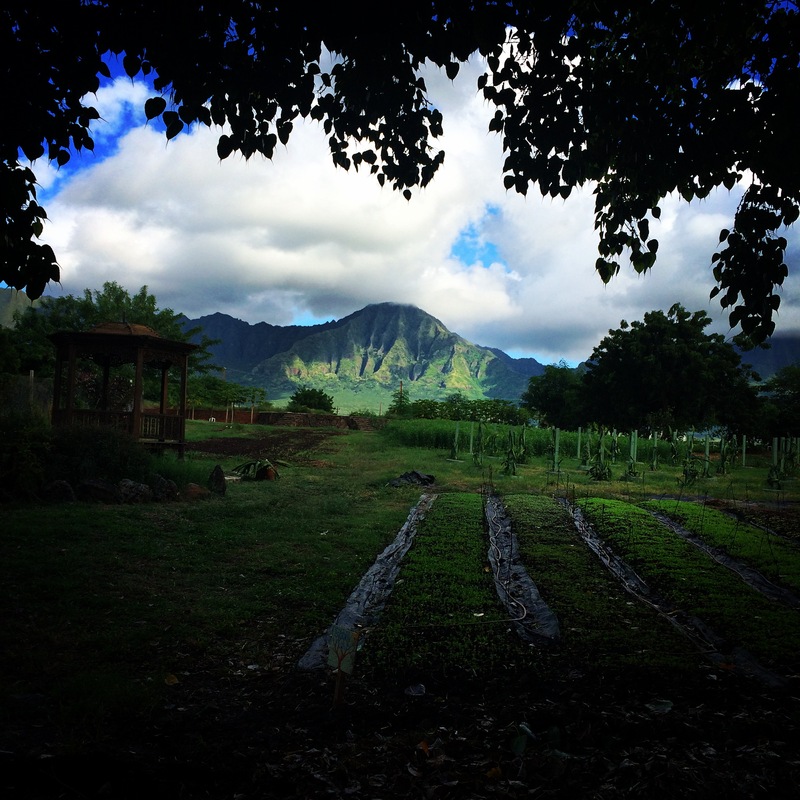 I have been applying Ho’olokahi Numerology in my life for the past 8 years in the areas of business, health, self-development, and relationships. I am continually amazed at how valuable and accurate the information is. Back to the three gentlemen; I was doing the numerology reading for these three guys, one by one, and I could sense their resistance at first. But as I started consulting the numbers I could see a change in their expression and mind. The three gentlemen could not believe how accurate the information was. One of the more manly of the group was brought to near tears. It verified for him what he knew deep inside to be true. It gave him permission to live own story and solidified his understanding of who he was at the core. All the gentlemen walk away with a deeper sense of purpose and the ability to amplify their 2015. 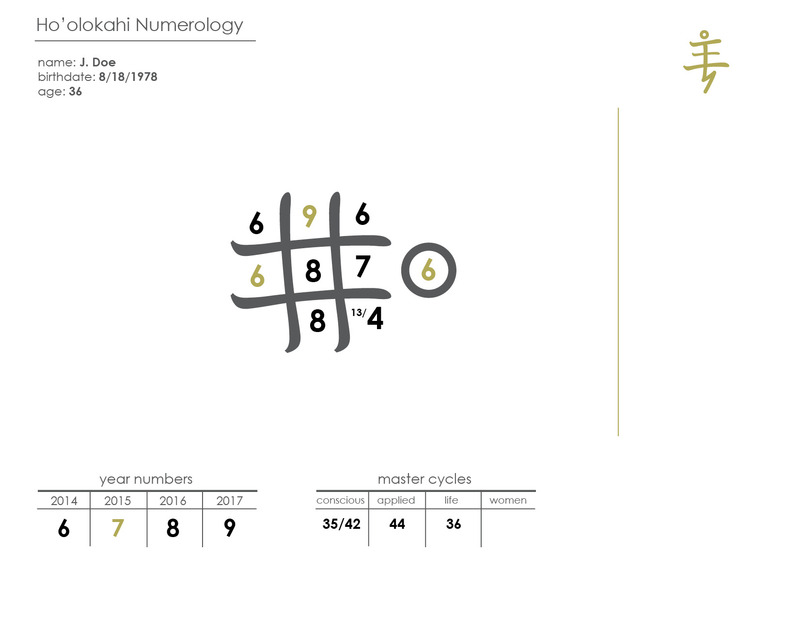 One of the unique things this Ho’olokahi Numerology system reveals is the yearly cycles of a person’s life and how those can collaborate or conflict with the global year number. Each year we are offered the opportunity to build a deeper relationship with a part of ourselves through the expression of our personal year number. The year number is part of a 9 year cycle of self mastery that we continually experience throughout our life. 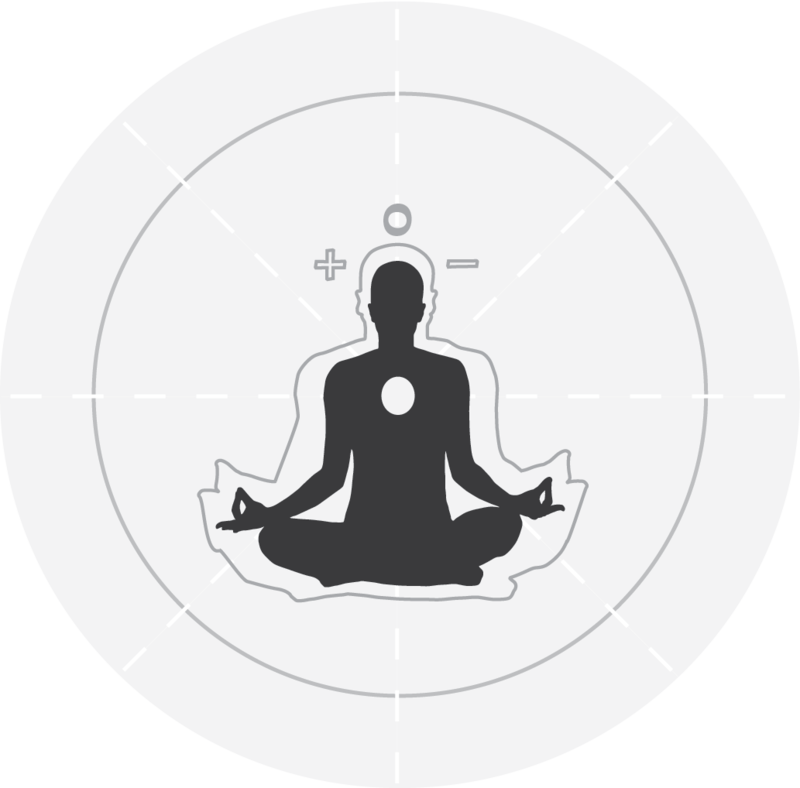 The global 8 energy of 2015 (2015 = 2+0+1+5 = 8) provides everyone the opportunity to experience spiritual and financial abundance. There is an overall surge of energy and a “get things done” attitude that will drive expansion in all areas of life. 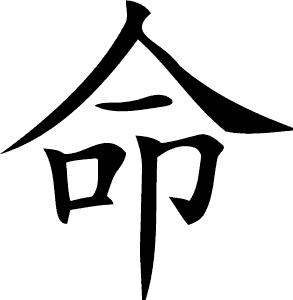 It is the number of the General, the super charged human being, and the motivational energy of anger. This is the year to make things happen, at least for most of us. If you are like me, you are already feeling this energy in your life. Understanding your personal year number and how it works with the global energy of the 8, allows you the opportunity to take your life to the next level. You can maximize the extra energy you will experience this year, and put those plans and deep seated desires into action. With all that extra energy of the 8, burnout is a real potential. Make sure to get yourself in the right gear and not waist energy spinning your wheels. Balancing the drive and expansion of the 8 is the potential for burnout. If you over do it this year then you will not have the energy to thrive in 2016. The global 9 energy of 2016 will challenge humanity to detach and let go of the past. 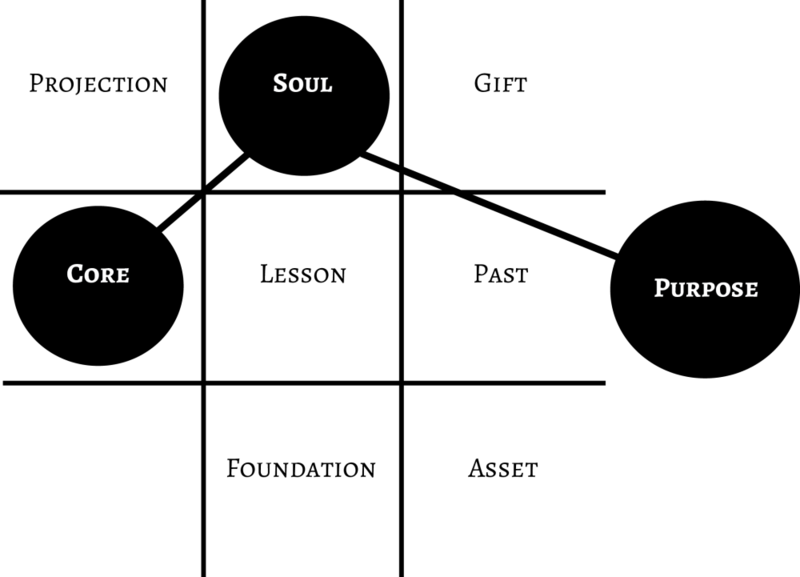 It forces individuals and social structures to re-evaluate which things support their purpose and which things cause them to become scattered. The 9 year of 2016 can be a difficult time if you did not do your personal work in the 8 year of 2015. If you do you use the energy of the 8 to get things done, without burning yourself out, then you can move into the 9 year with enough reserves to thrive. This is extra important because the 9 year of 2016 is preparing you for the 10 energy of 2017. The 10 energy is all about new beginnings and letting your soul shine. If we are successful in letting go gracefully in 2016, then you can maximize the start-up energy of 2017 to create a new sense of self and a new life. As you begin to understand this dynamic flow of life, from the super charged energy of the 8 in 2015 to the new beginnings energy of the 10 in 2017, you can align yourself properly to stay in the flow. In the flow is where we all want to be. Each one of us has a unique personal year number that is influenced by the global 8 energy in 2015. Your personal year number shows you the specific way in which you can experience spiritual and financial abundance this year. When you understand how this works, then you can activate collaboration between your purpose and the global direction. I can personally show you how to collaborate your 2015 energies to avoid conflict. Step 1: Take the month you were born and add it to the day you were born. So, for a person born on October 23 the number is 6. Step 2: Add the month + day number to the current year number. For example, we already know that 2015 is an 8 year. To get this number we add all the numbers together: 2+0+1+5 =8. Then we simply take the 8 and add that to our Month+Day Number. For the example above we add 8 + 6 = 14. In the Ho’olokahi System we reduce all numbers down to 11 or less, so we reduce the 14 by adding the numbers together; 1+4 = 5. So, for the person born in October 23 the personal year number for 2015 is a 5. In the next section you will learn how to collaborate your personal year with the global year number. I can also provide very specific detail for you during a Ho’olokahi Consultation. Below I list the Personal Year Number, starting with the 8, and how it collaborates or conflicts with the global energy of the 8 in 2015. I also provide a key concept and archetype energy, and show you how to express your best in 2015. You can use this information to amplify your 2015 so you can thrive, not just survive, through 2017. 8 and 8 – Activate. Archetype of the Super Charged General Doubled – take charge, get things done – unlimited energy. Mastery of spiritual and financial abundance doubled. High risk for burn out – get in the right gear by staying physically active and having a consistent breath practice. Take two deep breaths before making any decision or speaking from emotions. 9 and 8 – Calm in Chaos. Archetype of Self Mastery – you are ending a cycle and have all the energy you need to completely let go of the past and move forward. But Don’t start new things and don’t end old things – let things come and go and be accepting. You are in the year of the break pedal and the gas pedal – don’t push both at the same time. Focus on mastering what you are already doing in your life. 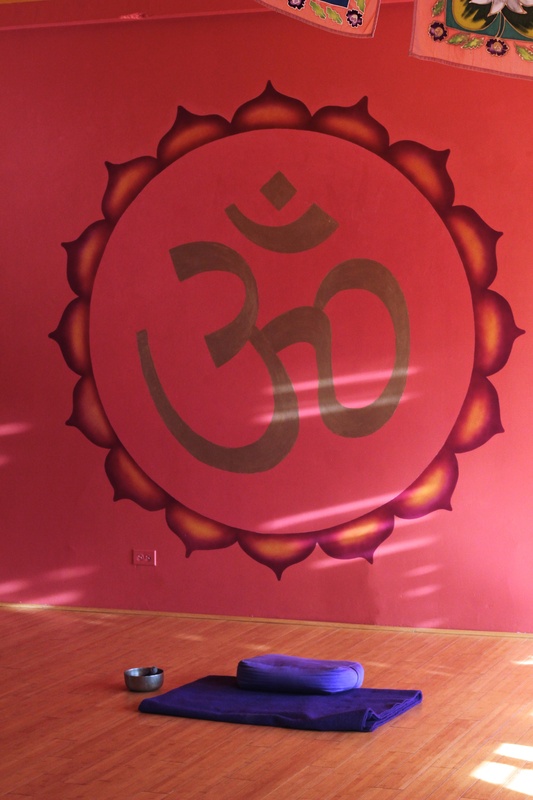 Take on physical and mental practices that challenge you to stay calm in chaos. 10 and 8 – Start-up – Archetype of the Entrepreneur. I started two companies in my personal 10 year. This is a great time to start or do that thing you have always wanted. Make sure you follow through – you have the energy to make it happen, so don’t hold back. Wear white to let your soul shine. This is your time to lead yourself and other, into something new. 3 and 8 – Conscious Flow – Archetype of the Player Coach – You may loose focus this year, and just want to let things happen. But work on flowing with focus and purpose – be conscious of the flow you are in and embrace it, amplify it. . Don’t just wave yourself in the air like a flag in the wind. Don’t make plans, but make decisions. This is the year for you to be the player on a team and at the same time the coach. You make decisions and then you let them flow without attachment to outcome. Wait for 2016 to make big plans. Have fun, stay positive, and take on a service project that allows you to be a part of your community and make your teammates awesome. 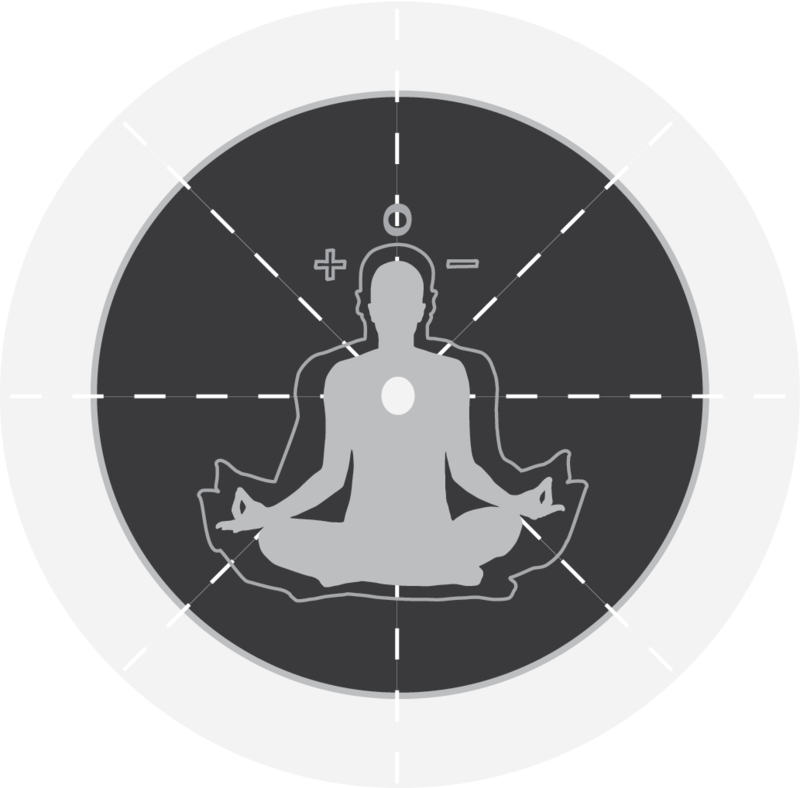 4 and 8 – Mental Mastery – Archetype of the Decisive CEO – you have the power to make plans and then magnetize the resources to make the plan real – if you wanted to build something (real or ideal) now is the time. Stay observant, non-judgmental, and think logical in your decision making. Make a plan and stick to it; day by day and month by month the plan will materialize. Meditate often this year, especially when you need perspective to make the right decision. 5 and 8 – Get in Gear – Archetype of the Olympic Athlete – this is the year to be in your body, get physically active, take on a daily physical practice. This will help you get your life in the right gear and the build momentum necessary to get to where you want to go and to make the changes you want. Network, teach, and politic – get on stage and shine like a star. But be careful not to spin your wheels aimlessly. 6 and 8 – Power of the Heart – Archetype of the Head priest or priestess – Stay heart centered, your heart has the power this year to heal itself and others. Make your home a sanctuary, a place that you would imagine yourself being the priest or priestess of. Be aware that the commitments you make this year will have extra power behind them, so make sure the commitment is heart centered. Take some time to dance this year and get into nature, especially when faced with big decisions or challenges. 7 and 8 – Power of the Voice – Archetype of the Uplifting Motivator – Your presence and voice is full of power this year. Write, speak and sing – share your thoughts and feelings with others, when you feel safe to do so. Make sure you are also taking the time to be a hermit; go into your cave and discover what you really want to say and share. Process your mental thoughts alone. But know that the voice is your means of moving the energy from the mind out. Make solid boundaries with others. It is a great time to write the book you have always wanted, or start singing open mic nights and karaoke. Let me know if you have any thoughts or ideas of your own. And if you want more information on how to be your best and live your purpose in 2015, don’t hesitate to contact me for a consultation. One final note… this is me with my trusted friend, banjo. This is a personal 9 year for me and the last time I had a 9 year I dropped out of medical school and stopped playing the banjo. 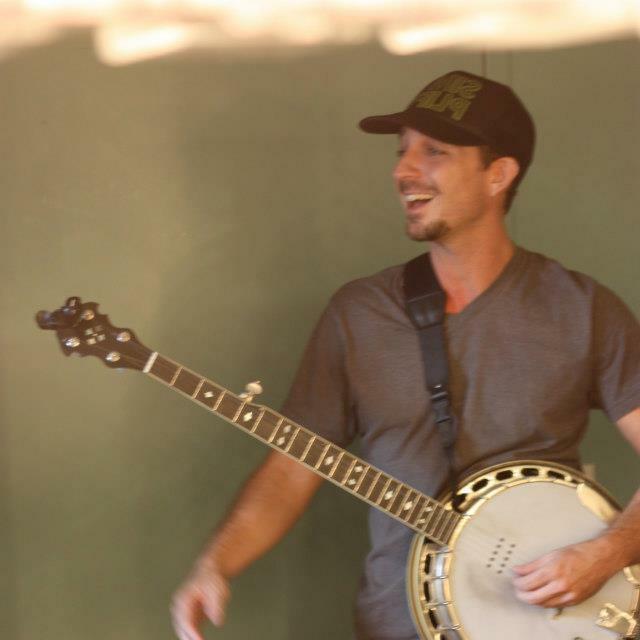 But a year later the banjo came back to me in a way I never imagined possible. It lead to the formation of a band and 3 years of making amazing music. And I am currently in a Ph.D. program for Natural Medicine, so medicine came back as well. When we have courage to let go, then things can re-align in a way that is more powerful and fruitful. 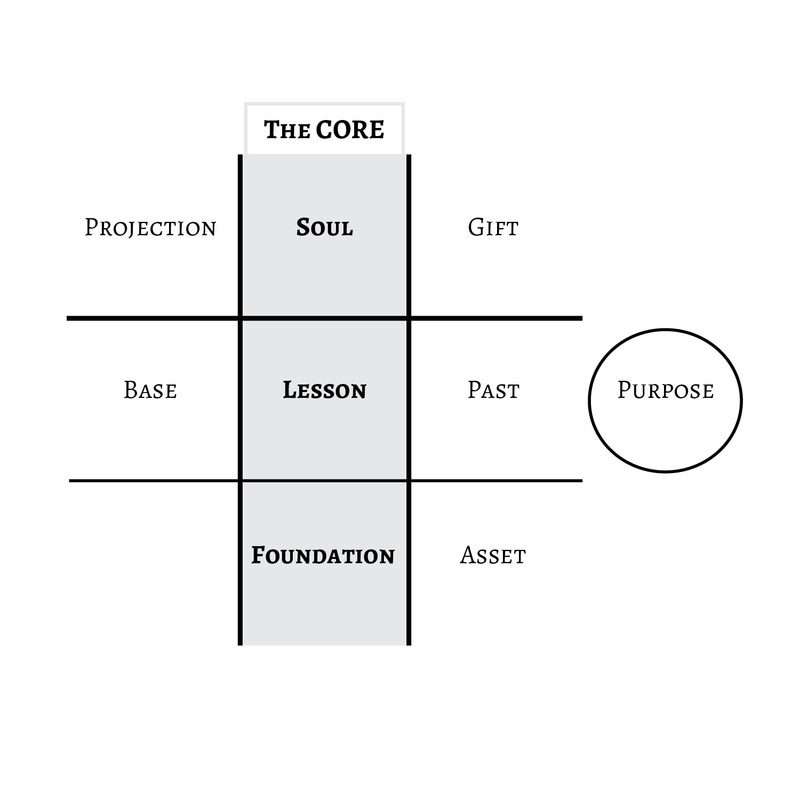 What do you need to re-align in your life in 2015 to live your purpose and discover meaningful success? Found out more about Ho’olokahi Numerology Birthdate Consultations Here. The Eleven Energy Bodies and their correlation to the Practical Numerology Numbers: Soul Body (1), Negative Mind (2), Positive Mind (3), Neutral Mind (4), Physical Body (5), Heart Body (6), Auric Body (7), Pranic Body (8), Subtle Body (9), Radiant Body (10), ALL Energy Bodies Together (11). The Life Path, Purpose, and Destiny Number typically have the same position and meaning most systems. These numbers are calculated by adding up all the numbers of a person’s birthdate together. For example, if someone is born on January 9, 1975 (1/9/1975), then you would add 1+9+1+9+7+5 = 32. You would then use the number 32 to represent the persons life path, purpose, or destiny number. In some systems you would reduce this number to a 5 by adding 3+2=5. The life path, purpose, or destiny number usually relates to qualities the person is striving for as their end goal in life. They are working towards this number as a means to fulfill a special part of who they are. By embracing and embodying the qualities of the life path, purpose, or destiny number in their life, they can feel a sense of completion and satisfaction. If, however, they fail to reach their goal of the life path, purpose, or destiny number, they may suffer a life of lesson and illness. Once the life path, purpose, or destiny number is fully embraced and realized within a persons life, they may decide to move beyond the limitations of the number and higher expressions of the self. When performing calculations, letters are replaced with their corresponding numbers and then the numbers are added up to get a single number. In the case of the name TIM, for the Pythagorean system it would = 15 (T=2, I=9, M=4; 2+9+4=15). There are many opportunities to get brief name readings and information. Birth date Numerology utilizes the numbers of the birth date to provide information about an individuals life purpose, purpose path, life path, soul number, gift numbers, core number, foundation number, destiny number, purpose number, projections, karmic number, lesson number, personal year and master cycles. Many systems focus on the purpose (or destiny) number, soul number and lesson (or karmic) number. More robust systems add more information by adding the birthdate numbers in unique combinations. Birth date number systems vary. Pythagorean Numerology utilizes the pythagorean theorem (A squared + B squared = C squared) to provide a 81 year birthdate numerology chart (check out Numerology and the Divine Triangle ). Kabbalistic numerology uses the birthdate month, day and time to reveal information about the person. 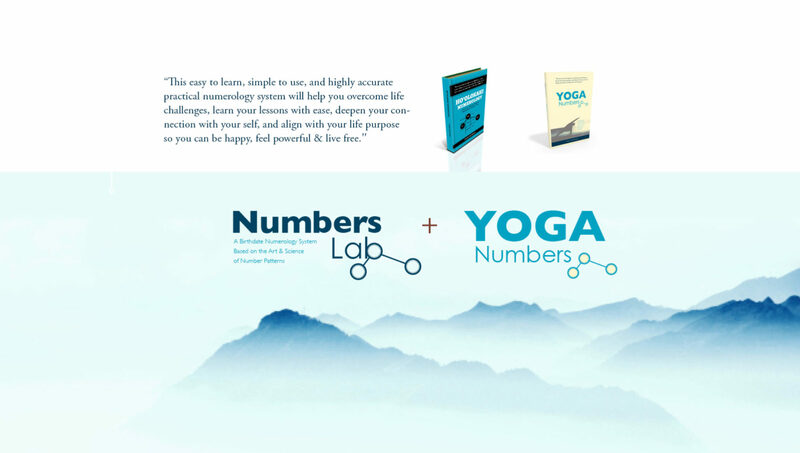 Practical Numerology: A Tool For Simplified, Integrated, & Creative Living utilizes a simple chart with unique number combinations to provide information about the persons greatest strengths and hidden weakness. The birthdate numerology uses metaphors, symbolism, and meaning to derive information about different aspects of an individuals personality or life purpose. The value and practicality of the information is dependent on the system utilized and the individuals understanding of the system. Numerology is the use of number qualities, symbolism, systems, and patterns to create meaning in the world. According to Pythagorus, numbers, and the relationship between numbers, provide the foundations for understanding the universe. 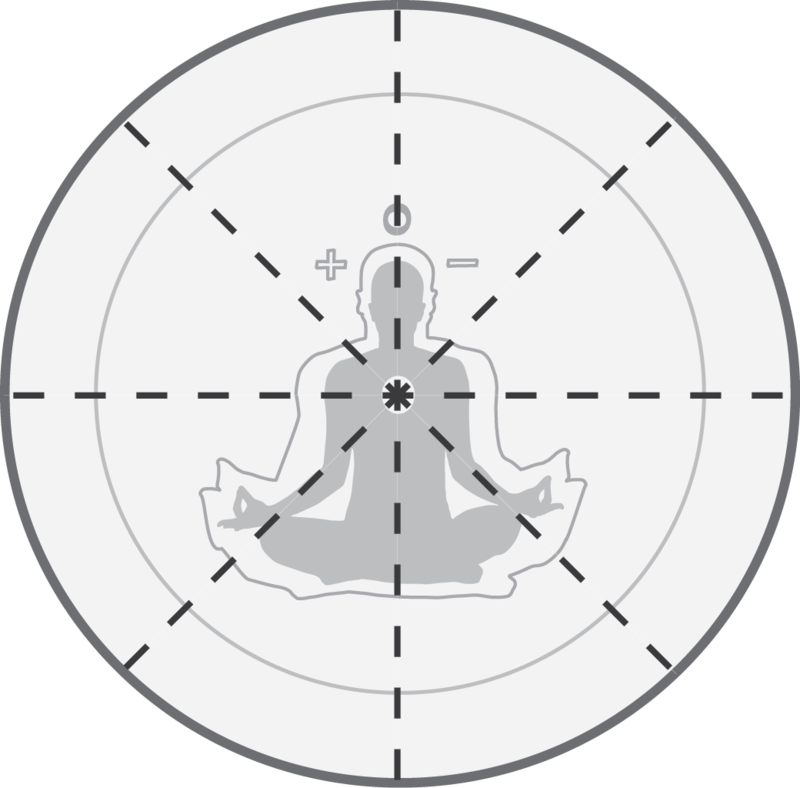 In general, there is considered three types of numerological systems: The Chaldean, the Pythagorean (Western), and the Kabbalah. However, this ignores the importance of Chinese numerology (Lo Shu magic square), Vedic numerology, and Yogic Numerology. More recently, Marko Rodin has devised a system of vortex based mathematics that provides a framework for building Rodin Coils (which seem really cool). Numerology can be applied to names and birthdates to bring meaning into life in unique ways. As humans we are the creators of meaning and we have the power to choose what things mean to us. Ultimately, numerology is the exercise of our creative function. It becomes practical when we learn how to apply it in our lives and increase the understanding of ourselves and the world around us.